One of the best things about being a PhD student is that you get so many opportunities to keep learning new things. This, of course, happens naturally as the project progresses, but can also happen through going on workshops and courses that may not directly be part of your project. In England there is the British Sedimentological Research Group (BSRG), which organises all sorts of workshops, courses and fieldtrips. These are organised by PhD students (in collaboration with more experienced scientists) for PhD students. These events allow for a broader scientific development outside just a single PhD project, which is often very specific. 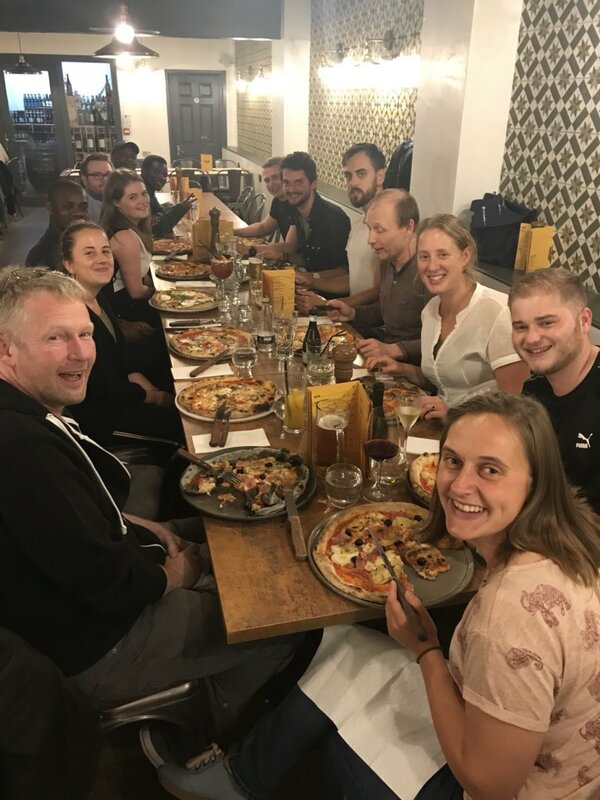 Furthermore, you get to know fellow PhD students and more senior scientists within the field of sedimentology from all over the UK (and sometimes even outside the UK). I am also one of the PhD students involved in organising these activities. 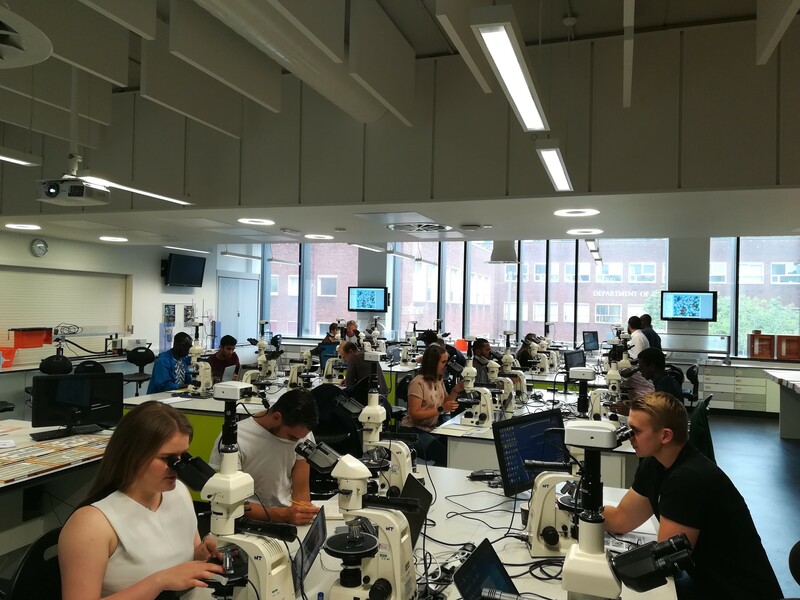 The BSRG organised a sandstone petrography and diagenesis workshop in collaboration with the University of Liverpool on Monday and Tuesday the 16th and 17th of July. I was not involved in the organisation of this workshop, but I took the opportunity to attend anyway. I always felt that petrography and the study of diagenesis was a gap in my sedimentological knowledge. I also was not very familiar with working with microscopes, so this was a good chance to learn something about this and meet some fellow sedimentologists. We had dinner in a typically English pub with a part of the participants on the Sunday before the workshop. I thought my English would have improved a lot after living here almost 10 months, however I had some struggles with the local Liverpool accent. There were some people from an earlier fieldtrip that I went on and some new people. 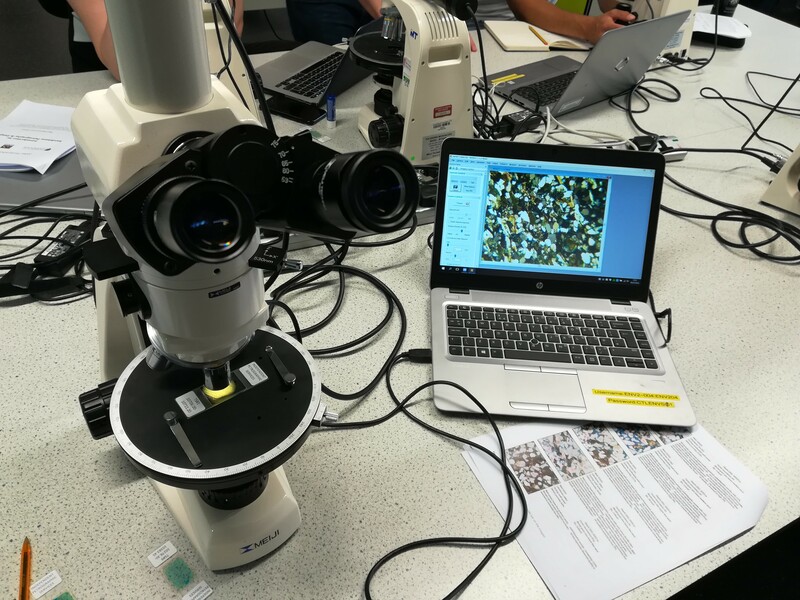 During the course, I learned to recognise different common minerals and grains in sandstone under the microscope. I also became familiar with different diagenetic processes and how to infer a diagenetic history from the observed features in sandstones. We also learned about some quantitative microscopic techniques used in analysing sandstones. We had the official workshop dinner on Monday. We had nice dinner and drinks with the participants and workshop leader Dr. Iris Verhagen. We talked about the differences and similarity between our home institutes and about upcoming activities and conferences we are attending. Next time I’m at a conference, I will see some more familiar faces. Overall it was a nice two days of learning something different, meeting nice people and exploring Liverpool. 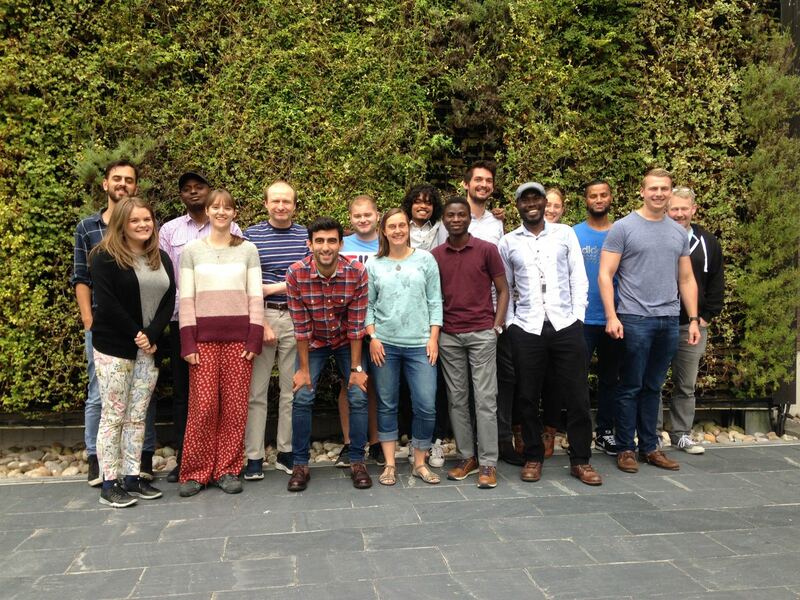 Thanks to the BSRG and Dr. Iris Verhagen for organising the workshop!